This is the automatic equipment which can produce the springs applicable to mattress car cushion. 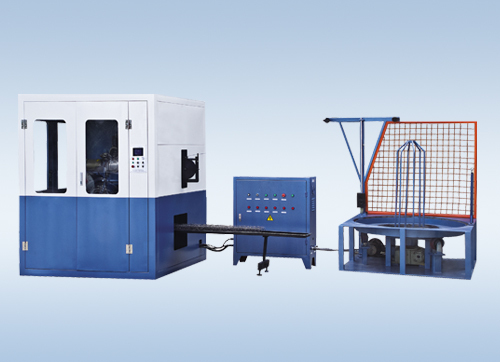 It can finish all of procedures including coiling .knotting, heat treatment and neat On the basis of YH-55 Auto-spring coiler machine, this equipment had improved the design to reduce the noise and the dust pollution;raised the human-machine interface to make the speed control system and adjust the heating treatment and automatic lubricating system more conveniently. Production Capacity 65 pcs / min.